The meeting focused on the White Paper policy document on international migration. An initial presentation had been made by the Department of Home Affairs (DHA) earlier in the year, and Members of the Portfolio Committee had requested a “refresher” presentation to assist with effective engagement on the documents and with the Department. The Committee Content Advisor made the refresher presentation by going through the briefing document on the White Paper, which had been updated by incorporating the core areas raised in the original presentation. The new White Paper was aimed at achieving an alignment with the National Development Plan (NDP) Vision 2030, which involved the embracing of international migration for development while safeguarding sovereignty, peace and security in the country. The broad principles underpinning this vision were the source of the policy interventions. The NDP priorities had been incorporated into eight key areas identified by the DHA. To implement these priority areas, a number of processes would be undertaken, including amendments to legislation, the monitoring of the implementation of amendments, and the administrative changes which might occur. The eight areas of interventions were the management of: admissions and departures; residency and naturalization; international migrants with skills and capital; ties with expatriates; international migration within the African context; asylum seekers and refugees; the integration process for international migrants; and enforcement. Details of the proposals made by the Department under each key area were highlighted. As far as the implementation plan was concerned, a number of laws would need to be amended. These included, but were not limited to, the Immigration Act, the Refugees Act, and the South African Citizenship Act. One of the main themes of the new White Paper was the ‘whole of government approach’ which would be adopted in implementing the policy. Discussions emanating from the presentation focused on the need to appoint national officials to look after refugees at the local level; the business case of the policy, and the position of National Treasury in funding it; measures in place to address the challenges facing the implementation of the policy; whether the DHA had started the process of identifying areas of legislation in need of amendments; clarity around the amendment of some pieces of legislation that had recently been amended, and the implications thereof; clarification of issues around the de-linking of permanent residency and citizenship, as well as the granting of citizenship to foreign nationals on exceptional grounds; an explanation on the Department’s submission on transformation in Africa as it related to the policy; as well as the need to address issues concerning capacity, budget and other related issues. Members also raised issues relating to the state of South Africans in the diaspora; difficulties facing the Department in respect of the one-stop border posts (OSBP); the distinction between genuine and non-genuine asylum seekers, as well as measures to be taken against non-genuine asylum seekers; whether or not the proposal on inter-sectoral and intergovernmental machinery would translate into an interference with the Border Management Agency (BMA); whether the DHA had engaged with organised labour and other relevant stakeholders on the policy document; the control measures for foreign nationals with permanent residence (PR) permits who emigrated to other countries to seek asylum; the distinction between PR and citizenship; the fate of PR applicants in respect of the issuance of long-term visas; the importance of setting timeframes for implementation of the policy; an explanation on the format of emigrant registration; the need for the Committee to engage with the Green Paper; plans in place to ensure the establishment of a humane and secure asylum seeker processing centre; the need for a turnaround strategy to be developed; as well as clarification about deportation within the policy. The Committee would engage further on the documents and the Department at a later date. It was proposed that the engagement should be done alongside relevant departments and local governments. The Department was also asked to submit a formal response on the issue of the Minister’s issuance of a visa to the Gupta family. The Chairperson opened the meeting by noting that the Committee had completed its engagements with the Department of Home Affairs (DHA) and other stakeholders on the White Paper on International Migration. He described the documents circulated among Members for the purpose of engagement at the meeting (shown above in ‘documents handed out’). The contents of the new briefing document on the White Paper did not differ completely from the previous document submitted by the Department. The Committee would engage on the documents before it. The Chairperson said plans were ongoing for the Committee to visit Germany because of the numerous activities it had in relation to migrants. Engaging in these activities would empower the Committee in dealing with the migration policy. It had been difficult to arrive at a convenient date to fix the trip to Germany due to various plans and the clash of Parliamentary calendars between South Africa and Germany. Nevertheless, the date would no longer be changed, especially as the Committee was interested only in a system for migrants which was handled by administrators, and not by politicians. Shifting the date set for July would have an overall effect on the work of the Committee, especially in respect of pieces of legislation that the Committee would still need to consider. The policy on immigration would be finalised only after the visit and interaction with the systems in order to plan a way forward. He said that the briefing document on the new White Paper on international migration had been presented by the DHA in January, and asked if any addition had been made to the document, and was informed that no addition had been made. Ms H Hlophe (EFF) asked if the presentation could be made again to refresh Members’ memories so that they could engage properly with the document. The Chairperson replied that the presentation had been made, but the Committee was yet to engage on it because it had promised to attend a conference at Pretoria. Some Members had attended the conference and other processes had emanated thereafter. However, the Committee had already advised the Department that the current meeting was for Members to engage on the documents submitted. Therefore, the possibility of the Department’s readiness to make a presentation was slim. He suggested that the Department should make a presentation on the briefing document, as it was a recent document prepared after the conference. Mr M Hoosen (DA) said that the previous document which the Committee could not engage with, had been approved by Cabinet. He therefore sought clarity on what the result of an engagement on the document would be after the Cabinet’s approval, and if the approval was final. If the latter was true, it would mean that the Committee had been denied the opportunity to engage and make submissions on the document. His concern was whether the comments and suggestions made by Members would be considered or not. Ms D Raphuti (ANC) seconded the suggestion to have the presentation done again as a refresher for Members in order to achieve proper engagement on the document. Mr D Gumede (ANC) said that the White Paper document provided an opportunity for South Africans to discuss issues of migration. However, the messages contained in the White Paper document and the briefing document were virtually the same. The same principles had been highlighted in terms of policy interventions against the administrative approach to migrations. He said that the ANC agreed with Mr Hoosen’s point on ensuring that the inputs of Members were considered in this process. Members would also intervene and make their contributions in this regard, as the need arose. He commended DHA for the quality of the document, as it revealed the effort put into research in preparation of the document. The document already contained an international perspective. However, it still needed to capture the views of South Africans. In responding to the concern raised by Mr Hoosen, the Chairperson said that the resultant policy that emanated from the process for the current document -- which could be in form of an Immigration or Refugee Bill -- would still be processed by the Committee. It was therefore important to discuss the document and make inputs where necessary, particularly because it had been six months since the presentation had been made and changes would have been identified in the migration systems. Trends of movement were changing due to several reasons, including the changing trends of terrorism. However, the principles of migration remained the same, while the practicality was prone to changes. He asked the Committee content advisor to make the refresher presentation. Mr Adam Salmon, Committee Content Advisor, said that the briefing document was a summary of the document presented in January. It was also a more recent document and easier to understand than the previous document. Once Members were familiar with the general direction of the White Paper on migration that had now been finalised, the question of implementation, the challenges that would be faced in implementing the policy, and how such challenges would be addressed, would then arise. The introductory part of the document was basically laying the context within which South Africa fell, in the sense of being a part of the global context of a large migration population around the world. It was therefore necessary to promote migration for the country’s economic interest, and also to protect the citizens in terms of a security perspective. While the current overarching policy on international migration had been set out in the 1999 White Paper, the migration context had changed significantly in the last 20 years. Even though minor changes had been made continuously to the Immigration and Refugees Act, no significant change had been made to the White Paper. It had become necessary to prepare a framework for significant changes to be made to the White Paper. The new White Paper was aimed at achieving an alignment with the National Development Plan (NDP) Vision 2030, which revolved around embracing international migration for development while safeguarding sovereignty, peace and security in the country. The broad principles under which the new vision had been formulated, and which informed the overview of the policy interventions were highlighted (see attached document). The NDP priorities had been incorporated into eight key areas which the Department had identified and which would require various processes, including amendments to legislation, the monitoring of the implementation of such amendments, as well as administrative changes that may be come up during the process. The eight areas of interventions included the management of admissions and departures; management of residency and naturalization; management of international migrants with skills and capital; management of ties with expatriates; management of international migration within the African context; management of asylum seekers and refugees; management of the integration process for international migrants; and the management of enforcement. Details of the proposals made by the Department under each key area were highlighted (see attached document). A number of laws would need to be amended before the policy could be fully implemented. These laws were the Immigration Act, the Refugees Act, the SA Citizenship Act, the Passports and Travel Documents Act, and the Marriage Act. The country’s capacity to implement the new policy depended largely on the capacity of the state to lead and coordinate across the three spheres of government -- local, provincial and national. The need for a total government approach for the management of international migration was one of the main themes of the new White Paper. The Chairperson asked Mr Jackson McKay, Deputy Director General (DDG): DHA to signify if anything important point had been omitted. Mr McKay confirmed that the presentation made by the content advisor captured all of the issues raised in the previous presentation. Prof Hlengiwe Mkhize, Minister of Home Affairs, joined the meeting and was welcomed by the Chairperson, who went ahead to brief her on the focus of the ongoing discussions. He commented that the DHA had formerly been a single Department responsible for the issuance of birth certificates, identity documents (IDs) and passports, until it was moved to the security cluster. The implication of this shift was that all activities of the Department had to be done with security consciousness. It was also important to note that South Africa was one of the key players in the global arena, and the country’s policies had to allude to this. The policies should also align with the NDP. It was therefore necessary to review the policies to capture the NDP’s goals and Vision 2063 plans. In terms of border management systems and admission into the country, South Africa remained a sovereign state, with rights, responsibilities and obligations to its own citizens. The immigration policy must highlight this fact and also assist in securing the country’s borders and citizens, and allow international visitors into the country for the purpose of making contributions to the economy. The Chairperson said that the eight principles alluded to under section four of the document served as a summary of the crux of the previous document. However, he sought the opinion of Members in terms of agreeing on the Vision 2030 principles as outlined in section three of the document. He commented that the issue of fraudulent birth certificates and identity documents to undeserving people was often organised by South African citizens. South African citizens involved in such a dubious business lacked the knowledge of guarding the sovereignty and security of the country. The Chairperson read out the points made in section three of the document, noting that the principle of supporting emigration for development purposes referred to the country’s ability to account for South Africans in the diaspora. He cited the example of countries in Europe and America coming to fetch their citizens in Africa in the event of chaos. With regard to the last principle on the need to adopt a government and society management approach, he remarked that a disjunction existed between the national government and the municipalities. There was still a need to appoint people at the national level to look after refugees at the local level, especially since most local municipalities often hid illegal migrants among themselves. The processes of approving businesses in local municipalities often failed to put the management of migration and refugees into consideration. It would be impossible to have national government officials in every nook and cranny of municipalities. It was therefore necessary for every sphere of government to play its part in ensuring the implementation of this policy. The biggest task for illegal immigrants was the crossing of borders, after which they no longer feared the consequences of being illegal immigrants, especially since they were aware of local municipalities’ failure to enforce the migration policy. Ms B Dambuza (ANC) said that the Committee had been interacting with the DHA regarding resources and systems, and it had been discovered that challenges were being faced in this regard. She asked for the business case of the policy, considering the fact that it was a broad policy. She also asked about the position of the National Treasury (NT) on the business case -- whether it had been discussed with the NT, and whether the NT had agreed to funding the policy. She said that the challenges identified in the implementation plan would hinder the fast implementation of the policy. Other issues included the amendment of legislation before the policy could be implemented. She wanted to know if the Department had begun a process of identifying the areas in need of amendments to the highlighted legislation which would be amended in order to fast track the process of implementing the policy. The Chairperson said that Members should focus discussions on the policy itself, the reasonableness of the proposed policies, and whether or not the proposed principles were all encompassing or needed to be adjusted to address the current situations. The issue of implementation would arise only after the amendment Bills had been passed. The effectiveness of the Bills passed would align with the resources available for implementation of the policy. 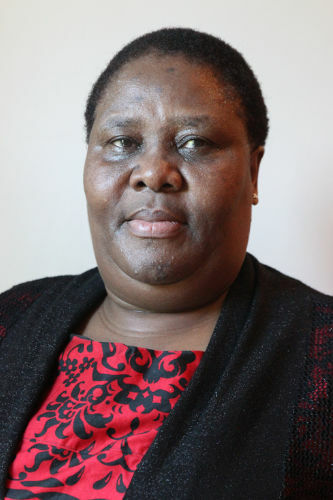 Ms Dambuza told the Chairperson that his attempt to respond to the issue she had raised would translate to an attempt to micromanage Members and the meeting in general. She confirmed her agreement with the policy tabled before the Committee, while emphasising the need for Members to get responses from the Department on the issues raised. The Chairperson replied that the main issue for discussion at the moment was the migration policy, and not necessarily the implementation of the policy. It was important to ensure that the policy covered all areas for which it was intended. Only after this could the issue of implementation be discussed. Ms Dambuza replied that it would have been unnecessary to invite the Department without Members engaging with the Department on issues concerning the policy. She felt that the meeting should have been held with Members alone if the agenda was strictly focused on discussing the policy. The Chairperson clarified that the Department had presented the policy earlier in the year, but Members had been unable to have a discussion about it. The meeting therefore provided the needed opportunity for Members to discuss the policy. The Department had been invited to listen to the engagement of Members on the policy. Ms Hlophe agreed with Ms Dambuza regarding the Chairperson’s attempt to micromanage the Committee. She opined that the Chairperson had been wrong to do so. Members needed to raise clarity questions on the policy that had been presented in January. The Chairperson explained that clarity questions had been raised after the presentation made in January. The only thing left to be done was for Members to discuss the policy among themselves. Ms Hlophe continued that since the Chairperson had allowed the presentation to be made again by the content advisor, it was necessary for Members to be afforded the opportunity to raise questions of clarity where necessary. She went ahead to seek clarity on the implementation plan that spoke to the amendment of legislation, including the Immigration and Refugees Act, regardless of the fact the Department had already alluded to the recent amendment of those two Acts in the introductory part of the briefing document. She commented that some of the legislation mentioned in part of the implementation plan had been amended by the Committee. She gave an example of the SA Citizenship Act 1995, which had been amended in 2010, and had been used in rejecting the Guptas in 2015. She also proposed that the eight key areas should be properly discussed before a decision was reached. She cited the proposal under the management of residency and naturalization, noting that the first proposal on the de-linking of permanent residency and citizenship conflicted with the proposal to consider the granting of citizenship to foreign nationals as being exceptional. The initial document had highlighted issues related to the Border Management Agency (BMA), which the Committee had deliberated upon. During the deliberations, Members had discovered that the Department had no budget in place for the BMA. This was one of the issues that needed to be clarified. She said that the briefing document had failed to capture the points made on the transformation of Africa, as captured in the previous document. It was necessary to understand the point being made by the Department on the transformation of Africa, as the proposed key area seemed ambiguous. She agreed with the points raised under the sub-heading ‘little awareness of historical and geopolitical contexts’ (see page 4 of the draft White Paper on International Migration in South Africa, dated 29 March 2017), as it reflected the plans to ensure other Africans would benefit from this policy. Reference was also made to page 5 of the draft White Paper which dealt with capacity of the Department. In her opinion, issues concerning capacity, budget and other related issues needed to be clarified from the beginning before engaging on the policy. The Chairperson said that if the suggestions of Members on how the meeting should run were to be adopted, the chances of achieving the purpose of the meeting would be slim. It should be noted that a budget would not be set aside for a non-existent or unapproved BMA. The absence of a budget should not affect the drafting of, or modification of, a policy, where necessary. It was only during the implementation of the policy that the availability of financial resources would need to be considered. This explained the numerous pieces of legislation already signed by the President, but which were yet to be implemented, as the effective date was yet to be arrived at. Some policies were signed two years before implementation. It was therefore necessary for policies to be properly crafted before the Department specified an effective date for such policies, and budget allocations were made towards the implementation of such policies. Regarding the highlighted laws needing amendment, the Chairperson said amendments would be made to legislation only after proper deliberations had been carried out on the policy, and issues regarding certain provisions in the legislation had been raised. An example could be seen in the proposal on de-linking the granting of residency and citizenship. The current provision in the Citizenship Act linked the granting of residency and citizenship together. It was therefore necessary for the Citizenship Act to be amended in order to capture this proposal. Issues of financial allocations would also be addressed during the implementation of the Acts. Implementation may not necessarily be within a short timeframe, like the case of the BMA, to which a ten-year timeframe had been set for its implementation. Ms T Kenye (ANC) commented that levels of understanding varied among individuals. It was therefore difficult to know what questions to ask or not to ask in the current circumstances. The Chairperson offered to assist in clarifying issues but she declined the assistance. She spoke to the key area on management of ties with SA expatriates and noted that nothing had been said on the issue of bodies of South Africans that had decayed in Nigeria, and the amendment in this regard. The policy document did not address the issue of national accountability, and this raised a concern of what would be done in the event of another tragedy. Regarding the management of admissions and departures, she asked what difficulties were being faced in respect of one-stop border posts (OSBPs). As for the management of asylum seekers, she said that the policy document did not differentiate between asylum seekers from stable countries and genuine asylum seekers. What steps would be taken against asylum seekers who were not genuine? She asked if the proposal on inter-sectoral and intergovernmental machinery would not translate to an interference with the BMA. She asked if the Department had engaged with organised labour and other stakeholders on the policy document. Ms Raphuti remarked that South Africa had granted some foreign nationals permanent residence (PR) status. She asked for control measures for foreign nationals with PR permits who migrated to other countries to seek asylum. She sought clarity on the difference between permanent residency and citizenship, but applauded the proposal to replace PR permits with long term visas, with the aim of dispelling the misconception around immigrants having a constitutional right. The proposal was even more relevant to curb numerous instances of constitutional appraisal by non-South Africans, attacks from various avenues, and the questioning of citizenship of bona fide South Africans. The Department was asked to provide a solution in this regard. She also wanted to know what the fate of applicants for PR would be, and whether such applicants would be granted the long term visas instead. This process would assist in identifying the actual citizens of the country. The issue of timeframes for the application of documents and implementation of the policy was crucial. In her opinion, it was not enough to develop a policy -- timeframes should be set as part of the process to bridge the gaps within the system. Mr Hoosen expressed doubts about the conversations at the meeting, and said that it was unlikely for the discussion to yield any result. A closer look at the document showed that it was the final document already approved by Cabinet, and the administrative part of the document would be implemented immediately (as provided for on page 6 of the briefing document). The remaining issues were in relation to legislation needing amendment, and the Committee would be able to engage on that process. However, a large part of the implementation plan had to do with the change in the administration and management. The answer to his previous question had been that the policy had been finalised. He suggested that the Minister should make an undertaking to the effect that the Portfolio Committee had not had the opportunity on the Green Paper and for that reason, the input of Members should be taken back to Cabinet for inclusion in the document. In his opinion, an opportunity should have been given to the Committee to engage on the Green Paper, with the Department and other officials present, which would be similar to the manner in which the public was invited to engage on the document. He repeated his concern about the discussions and comments made by previous Members not yielding any result, thereby amounting to a wasted exercise. The Department’s omission to engage with the Portfolio Committee before finalising the draft document revealed the minimal respect the executive had for the role and oversight function of the Committee. However, the policy document was a lengthy one containing interesting proposals, and would require a day or two-day workshop for the Committee to discuss and understand the consequences and implications of the proposed policies. He commented on the database for emigrants which dealt with the mandatory registration of SA citizens who intended to emigrate for a period longer than three months. He asked the Minister to explain the format of the registration, what the registration was set to achieve, as well as the crucial information intended to be gathered during such registration. He applauded the Minister’s attendance at the meeting. The Chairperson commented that Mr Hoosen should have tabled his suggestions directly in terms of what the mandatory registration should aim at, in order for such views to be captured. Mr Hoosen responded that he had directed his question to the Minister and not the Chairperson. He said that it was becoming frustrating for the Chairperson to respond to issues raised by Members, instead of allowing the Department to respond. The Chairperson replied that he had no intention of responding to issues raised by Members. He was only trying to ensure that Members focused their discussions on the policy rather than on other questions. Mr Hoosen said the Chairperson was confusing Members, and he seemed to be the only one who understood what Members were expected to ask or say. He reiterated the point made earlier about the Committee not being given an opportunity to engage with the Department, the Minister and the formulators of the policy. It was only fair to grant Members the opportunity to make a contribution to the policy document before such a document was finalised. His complaint was that no such opportunity had been granted to Members yet. He sought clarity on the issue of oaths of allegiance to be sworn by citizens, and asked for the distinction between ordinary citizens and naturalized citizens in terms of the manner of behaviour. With regard to the reception centres, he said that the idea was not necessarily a bad one. The rollout of such an idea, however, raised a concern. He asked for the rationale behind the reception centres, as well as the size and capacity of such centres to cater for the number of refugees and asylum seekers. Would the legislation include a timeframe or duration within which people could be housed in such centres? Regarding skills, he said that the Department was incapable of giving an accurate figure on the number of undocumented immigrants in the country. The policy document had made some positive proposals for attracting skills from other parts of the world into South Africa. Had the Department considered the possibility of undocumented immigrants already possessing these needed skills? Mr A Figlan (DA) sought clarity on the repetition made with regard to the replacement of PR permits with long term residence visas. Mr Gumede read out the definition given to “White Paper’ in Wikipedia, which stated that it was a “tool meant to persuade different stakeholders about a government policy while inviting opinions about them at the same time”. In other words, the opinions of Members were welcomed in discussing the policy document. He said that the policy document was a well-considered and pragmatic document that would increase the country’s effectiveness as far as border management was concerned. Referring to different aspects of the White Paper, he agreed with the proposal to delink the granting of residency and citizenship, to prevent a reoccurrence of past problems in this regard. He also agreed with the proposal to replace residence permits with long-term residence visas in order to dispel the misconception around immigrants having a constitutional right to progress towards citizenship status based on the number of years spent in the country. The government should be allowed to make decisions as to who should be granted visas and the form which such visas or resident permits should take. He also agreed with the third proposal under management of residency and naturalization in terms of the granting of citizenship to foreign nationals. He agreed with the proposals made under management of international migrants with skills and capital, as such proposals were necessary for the country’s economic growth, business growth, creation of jobs, and the welfare of all. The White Paper had been formulated to deal with every need that may arise. He commended the proposals under management of ties with South African expatriates. The proposals under management of international migration within the African context should focus on ensuring an alignment with the African Union (AU) and SADC requirements, as well being acceptable to all citizens of the country. With regard to the management of asylum seekers and refugees, refugees were expected to report their arrival to the nearest police station or centre, to alert the authorities of the danger that had been responsible for their fleeing from their country. A duration period for reporting should be stipulated, and proper monitoring should be carried out to ensure that so-called refugees were not hanging around for no reason. He agreed with the proposals for the establishment of a humane and secure asylum seeker processing centre, as well as refusing asylum seekers the automatic right to work or study. As far as management of enforcement was concerned, it was important to put some other areas into consideration. One such area was the issue of licensing that required the involvement of local authorities. More enforcement measures should be formulated in this regard. Another issue was the way in which people accommodated foreign nationals. It was therefore necessary to develop a new means of law enforcement that was aligned with the Constitution. This would have an overall impact on the BMA and the National Development Plan (NDP). Ms Raphuti asked if the establishment of humane and secure asylum seeker processing centre would be similar to what had obtained during an oversight visit about two years ago, where the officials had been trying to determine the status of the people and the entire process had been cumbersome. No turnaround strategy had been put in place at the time, and she expressed hope that the new White Paper would assist with developing a turnaround strategy. The Chairperson clarified that the reception centres were where the asylum seekers were placed when they came into the country. The Committee might need to pay a visit to the Desmond Tutu reception centre, which had been highly organised and was devoid of long waiting queues. The situation of having people hanging around the centre, and cases of robberies within the centres, had been reduced significantly. The system adopted here would be replicated in other centres around the borders. The Chairperson proposed that the policy should address the issue of deportation more clearly. It should also focus on managing both high and low risk cases. He said that the policy would affect the Refugees and Immigration Acts substantively. The policy addressed the emigration aspect. The current regime used for refugees differed from the one used in migration. He sought clarity on the duration of ten years specified for refugees to qualify for PR. In his opinion, other criteria should be added before granting refugees PR, over and above the requirement of the ten-year duration, particularly where peace had returned to the refugees’ country of origin. The management of the asylum seeker processing centres was another area that should be looked into, to prevent build-ups from occurring there. The centres located around the borders were strategically positioned in the sense that it was easy for people crossing the borders to get the necessary processes done without having to travel long distances. He felt that the country had been taken for granted, and this explained the inflow of people seeking asylum without any form of imminent danger against their life from their country of origin. A proper explanation should be given on the reception centres and the services offered at those centres. A senior official was needed to manage operations and activities of reception centres in order to curb build-ups that could lead to chaos. 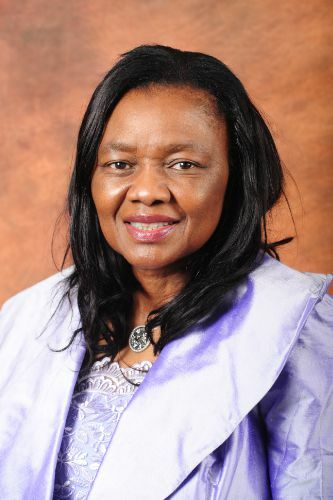 Minister Mkhize said that she expected the Committee to have communicated its need for a proper engagement with the Department before the current meeting so that Department could make an appropriate presentation. This was because she found the summary (as contained in the briefing document) to be problematic in the sense that it omitted a number of salient issues raised in the original policy document. A summary was prone to causing confusion, misleading the discussion, and resulting in a lack of focus on the critical issues. As far as Cabinet expectation was concerned, it should be noted that even though Cabinet had reached a conclusion on some issues, it was still open to legislative corrections, as it trusted the legislature to close all other existing gaps. The expectation was not for the Portfolio Committee to adopt. The Department should have made a presentation with scenarios to assist Members with a better understanding of the policy. This would have ensured that the Committee was not given a single position, as had been the case. The position taken by the Department was based on weighing options and analysis. The issue of international migration had advanced into a world issue because of numerous movements linked to the quest for opportunities, and chaotic incidents in some places. The policy document should be transformed into an enabling document that would cater for the needs of people, and also ensure adaptability to any circumstances. Proposed amendments to the highlighted pieces of legislation had been arrived at under different circumstances. It was important to consider the proposed amendments with a long term view in mind, and also to consider each clause carefully, as this would translate into a 20-year review of the Department’s policy framework around the control of the movement of people and goods. She appreciated the Chairperson’s assistance in stating that the legislations would remain in force until such time that they were amended. Referring to the national identity system, the Minister pointed out that the control of movement of people in and out of the country resulted in lots of information being gathered. The Department worked with the state information technology agency (SITA) and the cyber security unit to ensure that the identity information of people were secured and not exploited or abused for fraudulent reasons. The security of data was taken seriously to avoid exposing the citizens, refugees and immigrants to vulnerable situations. She commented that the summary could have opened up a debate on whether the policy should take a conservative view or a liberal view. Government officials were expected to communicate the views of the citizenry to the Cabinet. It was important to take a clear political position on the policy in relation to the migration of people and the transportation of goods between countries. The problem analysis contained in the briefing document indicated that the current policy had limited South Africa in embracing global opportunities while safeguarding its sovereignty and also ensuring public safety and national security. The main issue for debate was how globalization could be embraced without hampering the sovereignty, security and safety of the country. It was only after this that issues around Vision 2030 and 2063 could be deliberated upon. Already, there were serious challenges in relation to the protocol on migration policy. It was necessary for the Department and relevant stakeholders to apply their minds to the protocol during the implementation of the policy. The protocol for Vision 2063 was putting pressure on countries like South Africa. The protocols had to be taken into consideration in finalising the policy. The implementation of the migration policy was a big challenge as reflected in the complaints that have been gotten over the issue. One of the challenges affecting implementation was the management. It was expected that the new policy would be less complex, manageable and would utilize better-trained workers. This challenge had been highlighted in the last paragraph of the briefing document (see page 7 of the attached document). The Department therefore, had the responsibility to ensure that the new policy was implemented in a seamless manner and could be easily applied throughout all spheres of government in a consistent manner. She undertook to accept comments and inputs made by Members for inclusion in the policy for implementation. The Chairperson said that Members were supposed to engage on the presentation document submitted in January. He highlighted the documents circulated to Members at the beginning of the meeting. Mr McKay responded to the issue of the business case, and whether the DHA would be able to fund the implementation of the policy. He said that the Department had embarked on three levels of capacity and resourcing. There was an initial document which argued that the DHA should be situated in the security cluster. This proposition had been accepted and agreed to by the Department. Shortly after this, another document had argued that if the Department was situated in the security cluster, its business case for funding would be adequate to deal with the challenges facing the Department. This business case had been submitted to NT. There was also the issue of the immigration policy, which was contingent on the presentations made by the Department, and had been included in the business case. All the issues around funding and resources would be resolved once the business case succeeded. The Department was addressing the issue of the business case at a parallel level. The Department was consulting with the NT on the policy, the repositioning of the Department, and the funding model required to execute its mandate adequately and efficiently. The Department had commenced with the process of identifying areas needing amendments in the highlighted legislation. This identification process was part of the current year’s annual plan. By the end of the year, the Department would be able to present a summary of the changes to legislation and also highlight the areas of impact of the new policy in such legislation. 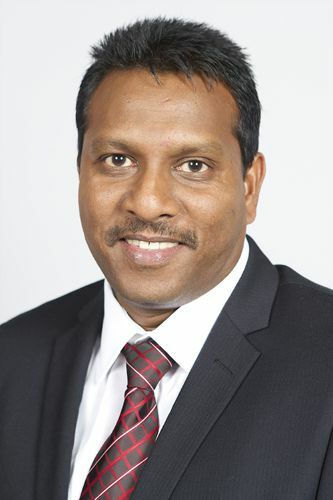 The legislation could be more than that already outlined, as it had been realised during the planning phase that the process would impact on the labour law, and some policies within the Department of Labour (DoL), especially since there was no regional labour migration policy at the moment. Some other documents in support of the policy existed, and these still needed to be developed, which was also part of the Department’s plan. An example was the policy document on emigration policy. This separate policy document would be linked to the migration policy document, to spell out the process of managing emigrants. The issue of an integration policy was also mentioned in the document but had not been expounded upon. The Department was in the process of developing the integration policy, linked to the migration policy. The DHA was also considering the whole government approach to managing migration. This had been referred to in the policy, but was yet to be conceptualized. The Department was in the process of conceptualizing the policy to develop a conceptual document that would explain what was meant by ‘the whole government/state/society approach’ to managing migration. These policy documents would serve as guidance to the Department and also address the issues raised by the Committee. Developing the concept document was also part of the Department’s annual plan. Linked to the above was the refugee reception centre, the plans in place for it and how its operations would be managed. The Department was also in the process of addressing the issues relating to the centre, and would report to the Committee as soon as the documents were ready. With regard to the issue raised around the differentiation between genuine and non-genuine asylum seekers, he said that the policy intended to assist with the mixed migration flow in order to differentiate between a genuine asylum seeker and a non-genuine one, and also be able to provide a remedy to an immigrant that fell into the category of a non-genuine asylum seeker with the intention of working in South Africa. The policy was aimed at devising new tools within the Immigration Act that would accommodate individuals with little or no skills, but with the intention to work in the country. It was for this reason that some people had been given SADC visas. However, it would be necessary to link these visas to DoL’s regional labour migration policy before such visas could be implemented. The DoL was also working on this particular regional migration policy. The inter-sectoral committees would not weaken the BMA. The inter-sectoral committees referred to by the Department were committees that would assist in managing migration across spheres of government. The committees’ aim was to enhance the management of migration, and not to cause problems for the BMA. With regard to refugees, it was clarified that based on the policy, a refugee who had resided in the country for a continuous ten-year period would qualify for a long term residence visa, and not a PR. This was in line with the international commitment referred to as ‘durable solutions for refugees’. The latter would not be granted to any refugee who had resided in the country for ten years. Instead, such a refugee would need to apply to the standing committee on refugee affairs to be declared a refugee indefinitely. This meant that the refugee would have to admit to the impossibility of peace being attained in his country of origin for the next 20 years. It was therefore not automatic for a refugee who had resided in South Africa for ten years to be granted a PR or long-term visa. The application to the standing committee preceded all other processes. It was only refugees from countries without a chance of peace in sight that the Department sought to grant a durable solution for integration into South Africa. In terms of submitted applications for PR, the relevant law under which such applications were made would be applied. Issues around emigrants would be addressed in the policy document on emigration. Mr McKay said that the mass movement of people into South Africa was not governed by the Refugees Act or Immigration Act. Instead, the Disaster Management Act and policies were used in this instance. On such occasions, the law allowed the Department to create refugee camps in accordance with the disaster management policy. The Department was already getting results from its shift towards the new policy. The Desmond Tutu refugee reception centre was one of the results, with the centre recording fewer numbers and fewer issues to deal with than previously. In 2014, over 70 000 newcomers had come into South Africa to apply. Two years ago, the figure had been 30 000. However, the current number of newcomers coming into South Africa was roughly 5 000 to 6 000. The processes that had been put in place to deal with the challenges of mixed migration in South Africa were responsible for these results. On the issue of managing migration within the African context, and whether or not the policy was aligned to the SADC and AU policies, the Department admitted it was doing its best to achieve an alignment. The Department had also tried to deal with challenges in this regard. Rather than argue on the AU policy of complete free movement, the Department was arguing that there was a need to manage such movement. There would still be a need for visas to be issued to certain countries. Certain preconditions also needed to exist before the policy of free movement within the continent could be implemented. Examples of such preconditions included silencing the guns, the economic integration in Africa of countries with the same standard of economic development, and other factors. The Chairperson cited the example of the Schengen visa, which European countries were beginning to revoke as they closed their borders. South Africans should understand that opening the borders would result in free movement, which may be beneficial in the first instance, but which may also lead to certain unpalatable issues like having a non-documented foreign national crossing the border and causing problems for the country. South Africa’s policy should take a lesson from the Schengen visa with regard to placing restrictions on certain movements. Ms Hlophe asked for an answer to the issue previously raised on the confusion over amending some legislation that had recently been amended. She said that the Chairperson had attempted to give a response on the issue of amending acts generally, and not specifically on the international immigration policy. The White Paper had been introduced in 1999, and the Department’s proposal to amend some parts of it should have been accompanied by an implementation plan which would include all sections that required amendment. Mr McKay said that amendments had been proposed to pieces of legislation, including the Citizenship Act, for several reasons. One had been the proposal to delink PR from citizenship. The Department’s position was to scrap the previous stance on automatic graduation from PR to citizenship. Instead, long term visas could be obtained while the person maintained the nationality of his or her country of origin. An amendment to the Citizenship Act was therefore necessary in order to implement the new policy of de-linking. Circumstances had changed from what used to obtain in 1999 when the first White Paper had been developed. International migration and its management were constantly evolving. It was for this reason that issues that were relevant in 1999 were no longer relevant today. It was important to ensure that the policy kept abreast with the changes, as well as foresaw the future. Legislation had been amended at the time of implementing the 1999 White Paper policy. This Act had been further amended to deal with gaps in the policy. All amendments that had been carried out to date were due to gaps in the implementation of the original Act. The new policy was, however, aimed at carrying out a comprehensive amendment of all the relevant Acts. Ms Kenye asked about the status of South Africans abroad. Mr McKay replied that the Department envisaged that the new policy’s position on emigrants and their management would be more comprehensive than the current rules, which only required such emigrants to register. Other countries had separate ministries that handled emigration issues. Those ministries were responsible for funding and empowering emigrants to acquire knowledge in other countries, after which they could come back to enhance their countries with their acquired skills and knowledge. The issue of managing remittances was another important area, especially because remittances contributed to development in the home country. The remittances coming into South Africa should be properly managed in order to measure the contribution of such remittances to the development of the country. At the moment, it was impossible to calculate how much of the money coming into South Africa constituted remittances that contributed to its development. The Chairperson asked if there was a possibility of having stand-alone legislation on emigration. Mr McKay replied that there was a possibility, and also that the responsibility might be placed on a Department other than DHA. The Department would expound on this at its presentation on the whole of government approach. Mr Gumede said that strategies should be developed to address these issues. Issues of migration did not fall under the jurisdiction of DHA. The Committee would need to engage other Departments and local governments. Constituencies should also be engaged. The ANC would still discuss broadly on the different positions around the issue of migration, as it was an issue that needed to be reviewed constantly. The Chairperson said Members would be given another opportunity to engage on the document. However, the Committee would appreciate a written submission by the Department on the issues raised. The Department would also speak to those submissions at a later engagement, but would be expected to focus on the principles governing the policy and the key policy areas that had been identified. Other matters in need of clarification were those belonging to regulations. Policy positions should be separated from the actual details of the entire document. The Chairperson sought clarity of the issues around the Minister’s issuance of a visa to the Gupta family. Mr McKay replied that the DG was in the process of investigating the matter and would make a press statement on the matter by the afternoon. Ms Hlophe proposed that the Department should provide a formal response to the Committee on the matter, as it was wrong for the Department to respond through a press statement. The Chairperson said the Committee would have an opportunity when the Department briefed it on the status of the matter. The Members, on the other hand had the responsibility to go through the Act that empowered the Minister to issue such visas, and critically examine the relevant provision before engaging on the matter.